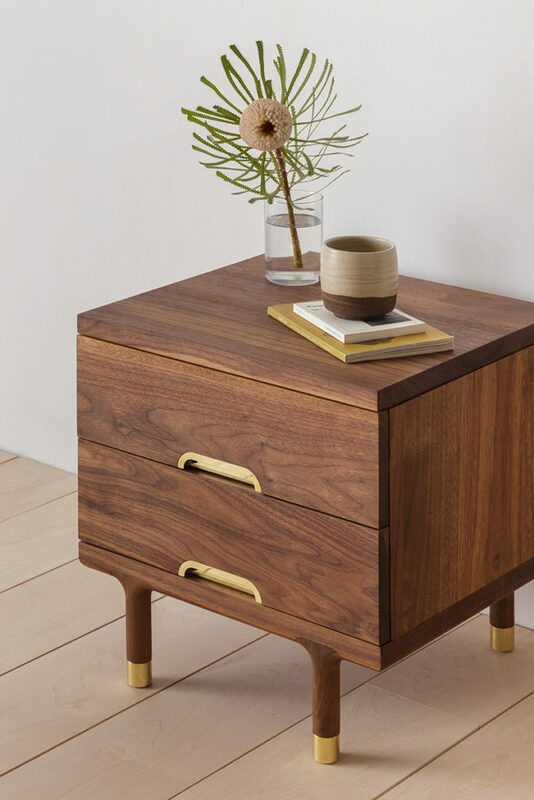 Our beloved Simple collection is now available in Black Walnut. 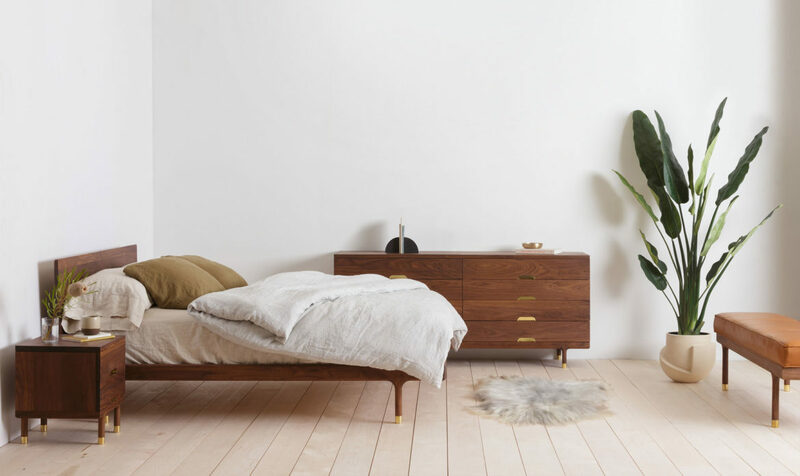 Designed for the bedroom, the Simple Collection explores living materials, purity of form and the quiet beauty of private spaces. 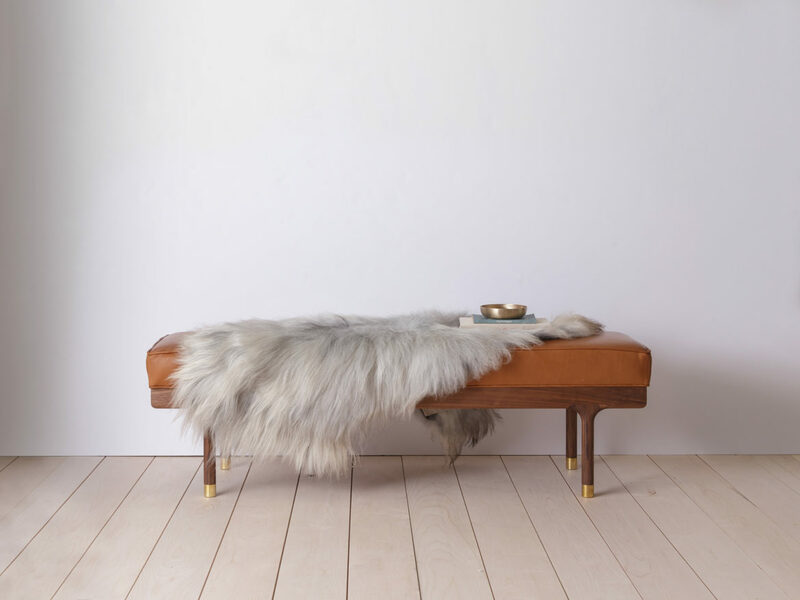 Each piece is made from pure, honest materials including solid, oil-rubbed domestic hardwood and solid machined brass. We are also introducing three new pieces into the collection: a leather upholstered bench, a 6-drawer tall boy and a 4-drawer dresser. 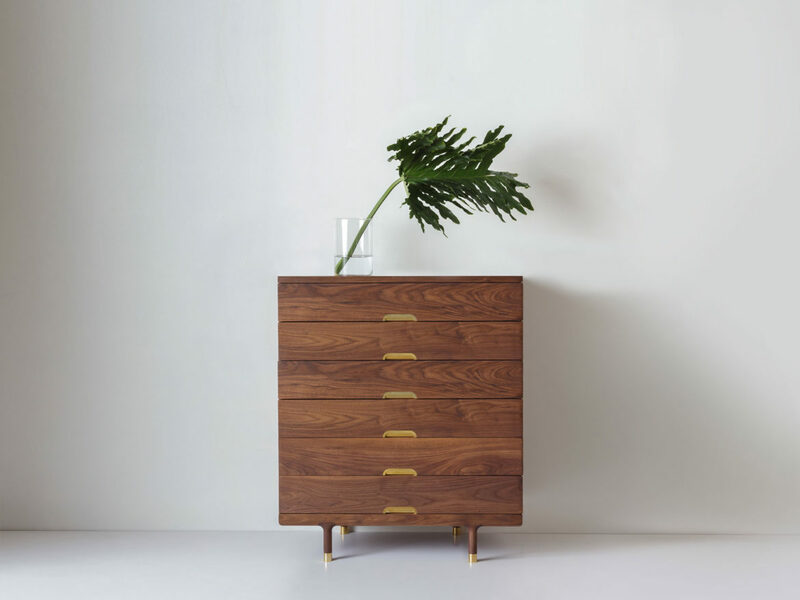 The collection additionally features a bed, an 8-drawer dresser, a side table, and a mirror. Prized for its dark chocolate hue and golden highlights, American Walnut is the most valuable and unique species of domestic hardwoods. Finished with a natural oil, wax finish, the wood develops a rich patina that grows more lustrous with age. The collection is proudly built by some of the finest craftspeople in the country. All materials are chosen with a profound respect for the environment and with a respect for how the material ages. All pieces in the Simple Collection are designed to work as stand alone pieces or to pair with other items in the collection. The unobtrusive beauty of the pieces makes them ideal not only for the bedroom but for the living room as well. All pieces are available in custom species or built to custom spec upon request. Please contact studio @ kalon studios . com for inquiries or requests.